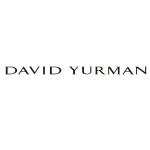 David Yurman has established David Yurman Inc. in 1980. This privately owned designer jewelry organization has headquarters in New York City. In 2007, the company had earned revenue of $450 million. As per mid 2009 report, the company had 18 boutiques in 10 states and 4 boutiques across 3 international cities. The company's first international jewelry outlet had been opened in International Finance Center in Hong Kong, which is headquartered nearby Asia. Yurman, in 1982, came up with the cable bracelet that had turned up as its signature jewelry. In addition, David Yurman launched good collection of watches with son Evan Yurman in February, 2009. There are currently 0 consumer reviews about David Yurman available. Share your review. Please take a note that you are about to post a public review about David Yurman corporate office on CorporateOffice.com. This review will be public, so please do not post any of your personal information on this website. If you would like to contact the corporate offices of David Yurman, please use their contact information such as their phone number, website, and address listed above to contact them. However, sometimes staff from David Yurman headquarters do read the reviews on this website.